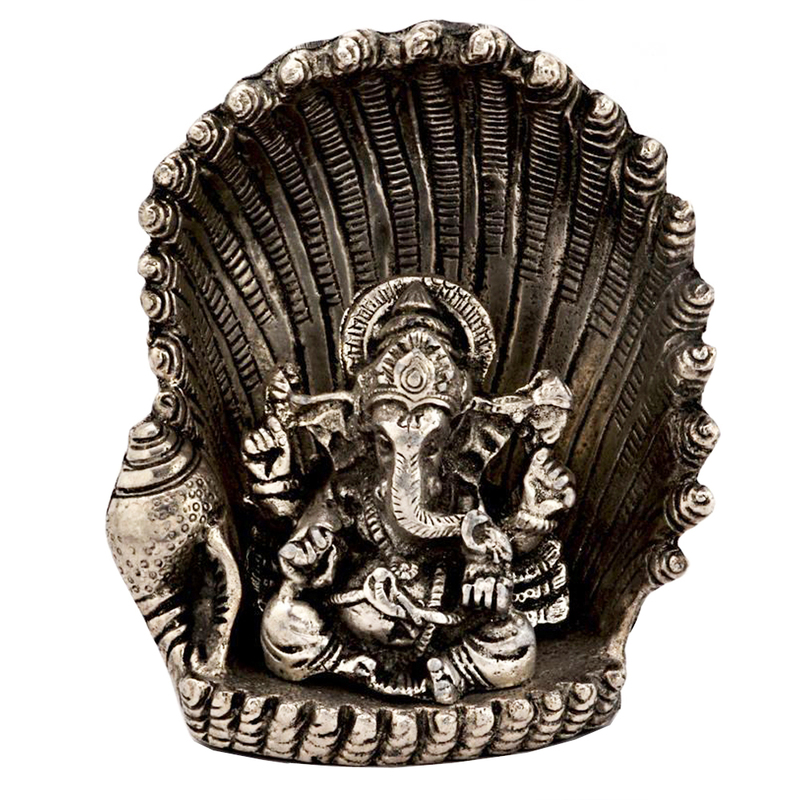 The beautiful oxidized ganesh looks exotic. It is sire to bring prosperity to your house. The lord is depicted sitting within a shell with a Read More..shade over Him. The beautiful color of oxidized metal makes it look quite attractive. One can keep it at the place of worship or just keep it as a decorative piece. you can always presnt ganesh as it is a good motif. Show Less..